Jack Honeyborne, from Surrey, met his Manx wife while working as a professional musician in the summer seasons at the Villa Marina in the 1950s. 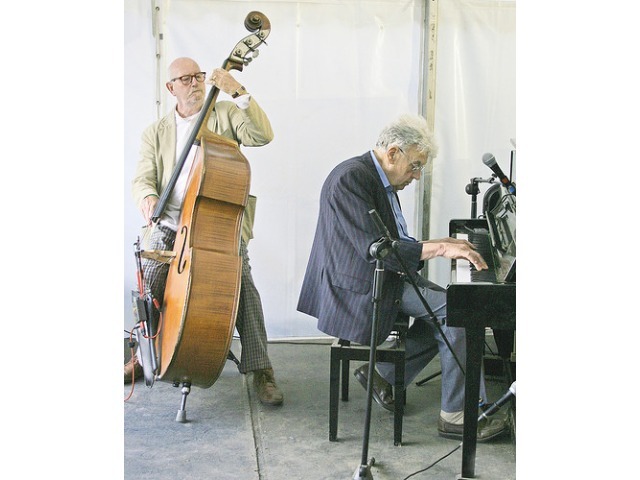 In this interview from 2009, he talks to Charles Guard about his life as a pianist, working with eminent bands and singers including Peggy Lee, Frankie Vaughn and Vera Lynn. Jack's playing has also featured in a number of television programmes over the years, including 'Are you being served', and he performed in the film 'Quartet' (2012). Born in 1928, he is still performing regularly and will be visiting the Isle of Man to give a special performance at the Erin Arts Centre on Sunday 19th April 2015. Join him for an afternoon of 'music, memories and hilarious anecdotes'!